Theology on Tap (TOT) programs are sponsored by Catholic colleges and dioceses around the country. 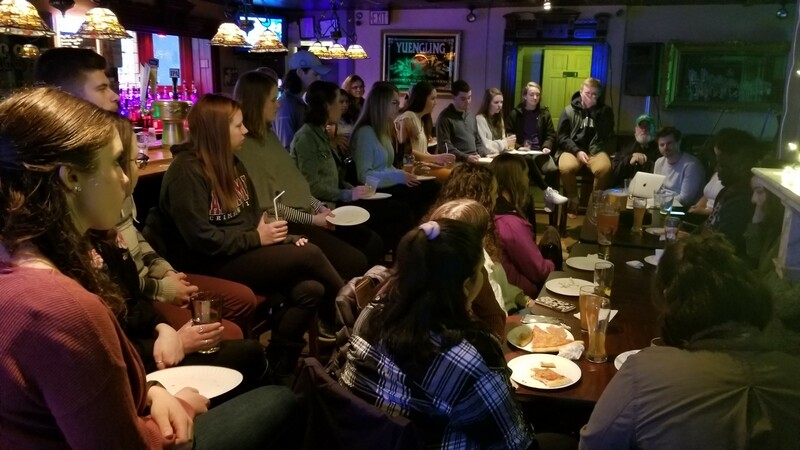 TOT engages young adults to come together in a familiar and comfortable bar/restaurant setting to hear presentations for discussions about faith and religion. McKinless, Segura and Davis began their presentation by sharing their personal faith journey stories with the over 30 Scranton students who attended as a lead up to how, in their 20’s, they came to be editors forAmerica. 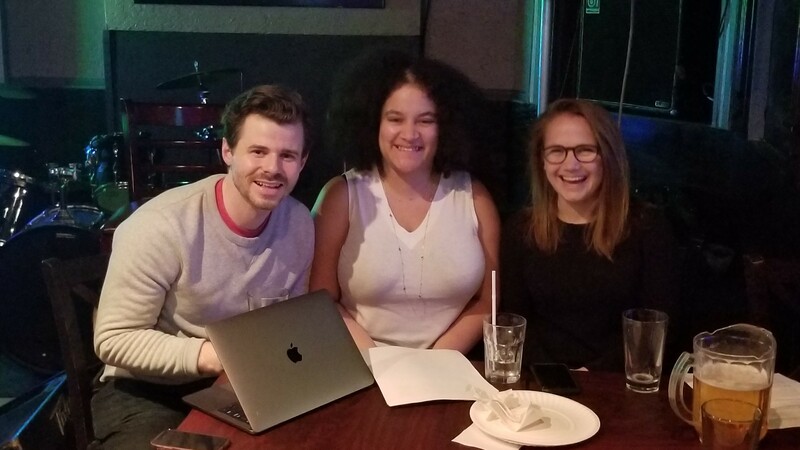 They also shared clips from their podcast which helped them explain how their main goal is to help young adults know that there is room in the Church for “questioning Catholics” and for those who are still working out our ownership of faith.